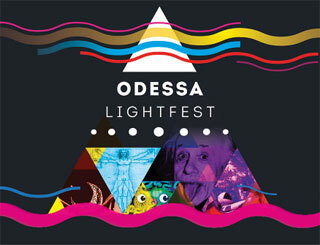 On 23.12 - 25.12.2018 in Odessa will be held Odessa Light Fest - light art festival which completes the sequence of light festivals around the world. 3D mapping and light installations will be created by visual masters from 14 countries including Ukraine, France, Brazil, Spain, Belarus, Italy and other countries. 19:00, 20:00 - Multimedia show "Kapellmeister of Light"
19:00, 20:00, 21:00 - III International Competition of 3D Mapping "Science is like a miracle"
18:00 - Show of the best 3D mapping of competitions 2016 - 2017 "Retrospective"
21:00 - Rewarding winners of III International Competition of 3D Mapping "Science is like a miracle"
18:00 - 22:00 - Light installation "Alchemy"
18:00 - 22:00 - 3D mapping "Klimt Ornaments via Prism of Light"